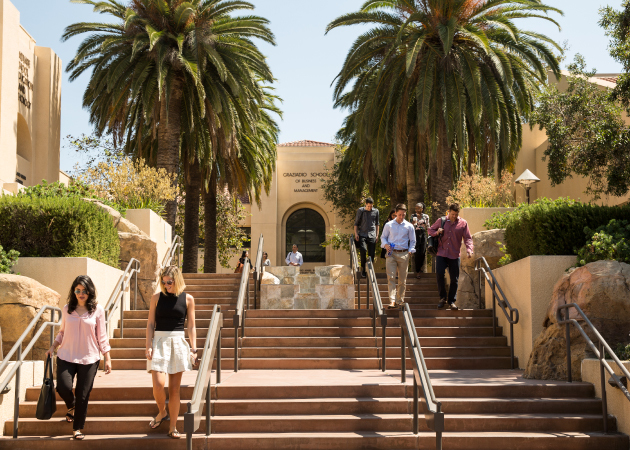 Pepperdine Graziadio students gain unparalleled access to professional mentors as they earn an exceptional business education accredited by WSCUC and the longest-serving accrediting body for business schools worldwide, AACSB. Executive doctorate, MBA, master’s, and bachelor’s degree programs at Pepperdine have separate requirements and deadlines for admission. Our Office of Financial Aid helps a diverse group of individuals gain access to a quality higher education. The Pepperdine Graziadio Business School offers executive doctorate, MBA programs, master of science and bachelor’s degree programs, and executive education for professionals online and at campuses throughout Southern California. The Academic Catalog provides information about our degree programs, course requirements, course descriptions, policies and procedures, student services, and general information about the Graziadio School. Use the left-hand navigation and search functionality to access the relevant content. To access past editions of the Academic Catalog, select Archived Catalogs . All catalogs © 2019 Pepperdine University. Powered by the Acalog™ Academic Catalog Management System™ (ACMS™).